Presenting cases to a jury or judge requires presence, experience, knowledge, insight and quick thinking. The choice of counsel is a critical element affecting the outcome of litigation. It is essential to select counsel that is practical, experienced, and with whom the client can communicate. A party to litigation should select counsel with whom they identify and whom they trust, because that attorney will speak for and represent the client before the Judge and jury, and the client will be working closely with that attorney through a difficult time in their lives. The disputes GHC handles include corporate, commercial and business litigation, as well as any number of equitable or individual claims, including personal injury. Our attorneys have obtained favorable resolutions in numerous contract disputes, including the enforcement of non- competition and non-solicitation agreements. We have represented clients in numerous real estate and commercial disputes involving claims for tortious conduct, including unfair competition, tortious interference, and fraud. GHC has secured numerous judgments for extraordinary remedies, including temporary restraining orders, injunctions, attachment, partition, mechanics liens, declaratory judgment, and interpleader cases. We practice in most Metropolitan Saint Louis area courts, including the United States District Court for the Eastern District of Missouri, the Circuit Court for the City of Saint Louis, and the Circuit Courts for the Counties of Saint Louis, Jefferson, Franklin, Saint Charles, Monroe, and Warren. We also practice in the Missouri Supreme Court, all of the appellate courts for the state of Missouri and the Eighth Circuit, Federal Court of Appeals. Anyone who has been served with a summons should contact a lawyer immediately. Most summonses require an answer either in person or in writing on a relatively short time frame. Failure to respond will result in a default judgment being entered against the defendant. If you receive a summons, contact a lawyer immediately. Any number of disputes can arise in a business organization. Business organizations, include, corporations, limited liability companies, partnerships and limited partnerships. Each business form will have its own nuances, but frequently the issues are similar. Gillespie, Hetlage & Coughlin, LLC has escorted clients through all types of corporate disputes in State and Federal Courts. Recently, in part due to the economy, disputes have arisen between companies and shareholders relating to Stock Purchase Agreements. The issue of whether or not shareholders may be entitled to be bought out of their shares from closely held companies can be complex, especially where the economy or other circumstances have reduced the available assets of the company to purchase stock. The bylaws of many closely held corporations give shareholders limited rights to obtain redemption of their stock. Various agreements between the company and the shareholder may provide rights for redemption or other rights to the shareholder. Generally closely held corporations, small corporations with a limited number of shareholders, frequently have limitations on the market ability of the shares such that a sale of shares must be approved by the remaining shareholders, or first be offered to the remaining shareholders. Frequently, there is no market for the shares outside of the corporation. A minority shareholder may lack sufficient votes to approve redemption. However, the controlling shareholders may not mismanage the company to the detriment of the minority shareholders. In the last three years, Gillespie, Hetlage & Coughlin has represented a number of clients involving enforcement of Stock Purchase Agreements or the bylaws of the corporation, as they relate to the redemption of stock. Another frequent source of disputes, is the sale of corporate assets or a sale of all or substantially all of the corporate stock. After the sale, these cases frequently involve disputes over the financial statements of the company provided prior to the sale, or disputes involving the projected sales of the company after the transaction. 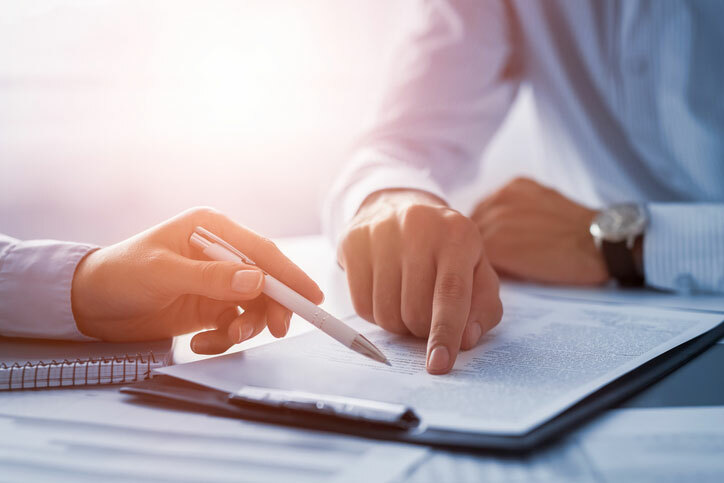 Frequently, the purchase agreement provides for earn-out payments to be paid in subsequent years depending upon the corporation meeting certain revenue goals, or consultation fees for key employees. The calculation of these revenue goals can be complicated and highly disputed, even though they are controlled by the terms of the agreement. The purchaser may allege fraud in the inducement of the sale of the corporation, based upon misrepresentations in the financial statements that were presented prior to the sale and relied upon by the purchaser. Surprisingly, these types of disputes can appear equally often in both large and small transactions. When majority shareholders take advantage of their controlling interest to the detriment of minority shares, derivative claims may be a shareholder’s only remedy to avoid their shares being rendered worthless. Derivative claims are a unique remedy, similar to a class action, limited to the shareholders of the corporation. In these and corporate dissolution cases the appointment of a receiver is one remedy, whereby the court can maintain the status quo of the company while litigation is pending. Often times in such disputes, one party or the other is subject to a non-compete or non-solicitation agreement which may further complicate the issues in the case. Non-compete agreements generally prohibit a former owner, employee or officer of a corporation from competing within the same industry within a certain area and for a certain period of time. Non-solicitation agreements generally prohibit former employees, owners and officers of a company from soliciting customers and employees and sometimes vendors of the company for a period of time. Because such agreements can restrict a persons ability to earn a living within their industry, and because the agreements are intended to protect the company’s relationship with their customers these agreements can be highly contested. Non-compete and non-solicitation litigation is frequently very fact specific. However, it is important to start with the knowledge that Missouri does recognize non-compete agreements and non-solicitation agreements, assuming that they are reasonable. Corporate dissolutions frequently arise where the Board of Directors is dead-locked, because no party holds a majority, and therefore the board cannot function. Obviously this is common in closed corporations or partnerships where two owners each own 50% of the ownership interests. Once the shareholders and board become dead-locked, the only way the corporation can function is frequently by the appointment of a receiver, and subsequently an accounting and a corporate dissolution. Claims against corporations may involve claims of mismanagement, fraud or other tortious conduct. Under certain circumstances, where officers of a corporation participate in fraud or tortious conduct, liability can be extended to the acting officers. Remedies available to shareholders may include seeking an accounting of transactions of the corporation to determine whether or not there was fraud or mismanagement. Sometimes a corporation may wish to seek a statutory dissolution, when the company is winding down. A statutory dissolution involves service of notice to known claimants and publication of notice that the corporation is ceasing operations. Once the notice is published, any party having claims against the corporation must come forward and make demand of their claims. If they fail to do so within 180 days for known claims and 2 years for unknown claims, their claims will be barred. 351.478 and 351.482 R.S.Mo. Corporate litigation can take many forms, be complex and involve accounting issues. However, qualified legal counsel can streamline the process by using experience and seeking the proper remedy. Gillespie, Hetlage & Coughlin has successfully represnetd clients in corporate disputes in St. Louis County and City, Franklin, and St. Charles Counties, and the United States District Court for the Eastern District of Missouri. At Gillespie, Hetlage & Coughlin our attorneys have over fifty years of combined experience representing clients charged with felony and misdemeanor offenses. Our attorneys include a municipal judge, a former assistant United States Attorney, and a former public defender, forming a wellspring of expertise and experience to apply to every case. The firm’s unique experience includes the defense felony offenses, including white collar, violent and personal offenses, as well as misdemeanor offenses, including possession and DWI. Anyone who is sought for questioning by the police should first seek competent counsel.